What do voting and committing a crime in Arizona have in common? Not much. But in Arizona, if you are convicted of a felony you lose your right to vote. The general idea is that felons have poor judgment and poor judgment must mean they lack good voting sense. This kind of rationale isn't logical and isn't a strong enough argument to disenfranchise ex-convicts. They may have committed poor judgment in the mistakes they made but that doesn't mean they are bad people who can't choose a proper candidate to represent them. Voting and serving on juries is the most direct participation in government most citizens have. Arizona law restores the right to vote after service of the sentence for a first felony offense. If a person has committed more than one felony, however, he or she must apply for restoration. That doesn't mean restoration is automatic upon application. The American Civil Liberties Union (ACLU) has started a new campaign that, in part, will challenge this practice. The campaign, Let People Vote, is a national campaign aimed at several states that do not restore voting rights automatically or, alternatively, have permanently disenfranchised ex-felons. Quoted by AZCentral, Alessandra Soler, ACLU Arizona executive director, confirms that "[v]oting equals power... We are in the fight of our lives, and it's not just about resisting, it's about making progress of the core values that are important to all of us." Voting is important. And it is power. By withholding an ex-felon's right to vote in state and federal elections, the State effectively strips him or her of a voice. They may have made a mistake, but they still should have the ability to choose who they want to represent them. Ex-felons may have a unique perspective on the failures of the system. We shouldn't be disenfranchising ex-felons; we should be helping them get out to vote. If you are an ex-felon or know someone who is, and if your voting rights have not been restored, then you should consider applying for restoration of your civil rights. 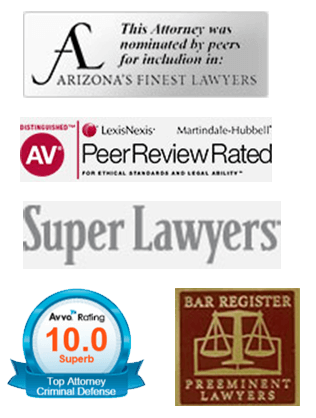 Sherick & Bleier has extensive experience representing people who have made mistakes, and most people regret those mistakes. We know that after they serve their debt to society in prison, they are more than ready to reintegrate into society as productive citizens. Contact our office if you have any questions or need legal representation.